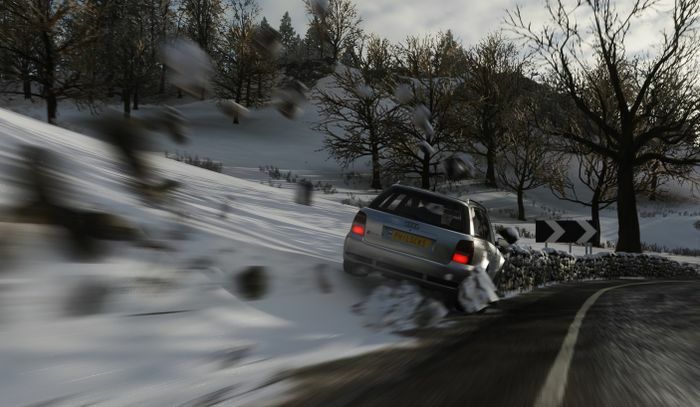 Just as we’re heading into the dingy grasp of winter, Forza Horizon 4 has left its winter season behind and has moved onto spring. Hopefully the roads might be a bit less slippery. With the new season, there’s plenty of new races to explore and a few pretty good prizes to win. A couple of new cars in the store, too. Perhaps the best prize is available in the Deadliest Hatch event. Win this, and you’ll be able to add an MG Metro 6R4 Group B rally car to your collection. You’ve been warned, though – it’s not simple to win. You’re up against the hardest Drivatars Forza has on its roster. Super Wheelspin and 5000 in-game credits are the other prizes available in this three-race, 15.6-mile event. The Dirt Racing Series adds three new challenges – good if you like sliding around in the spring rain. The Moor Than A Feeling, Forest Monsters and Retro Rally Rumble events all offer 5000 credits as a prize, but the latter two also offer the chance to win Wheelspin and Super Wheelspin. Retro Rally Rumble requires a B 700 performance rating, while the others require an S1 900 rating. All have three races to complete. There’s also a Lancia Challenge in the Cross Country Series, while the Road Racing Series also welcomes the The World Is Not Enough Event. You’ll need the Best of Bond pack for this one. Oh, and fancy testing yourself on a speedtrap event? Good luck hitting 235mph between Lakehurst Forest and Glen Rannoch. 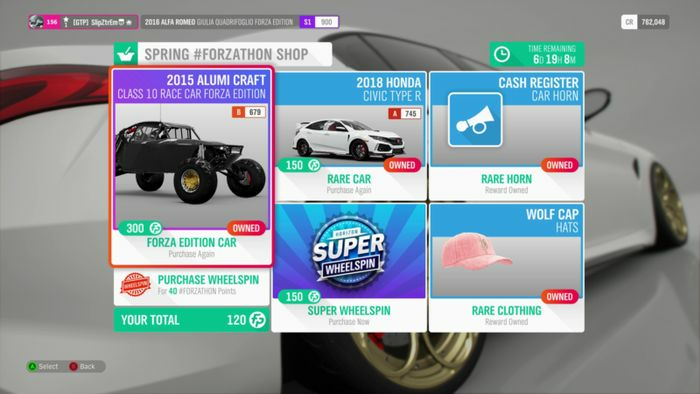 Spring means the Forzathon Events get a new car – quite a special one if you’ve been with the franchise from the beginning. Your first car, the VW Corrado VR6, is the centre of attention, and picking it up cheaply is enough for the first requirement. 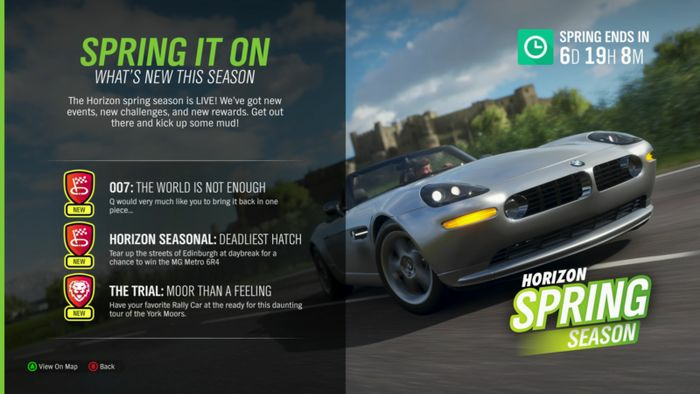 Three to go to grab 100 Forzathon points (200 if you’re a VIP). 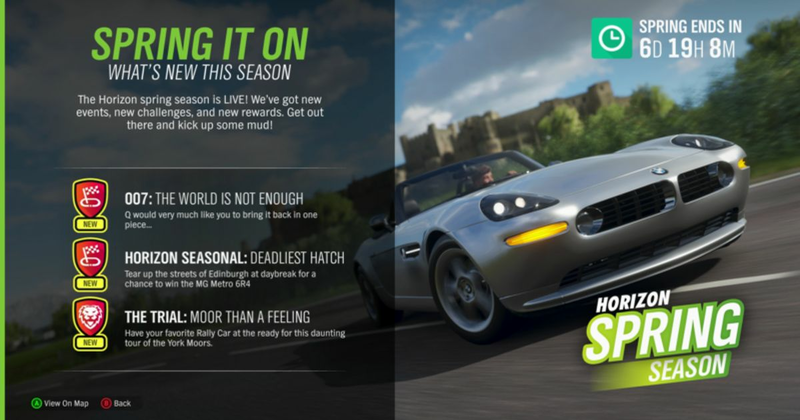 The second requirement is to earn a two million skill score, and then you need to win the Road Spring event. This can be against any opposition, so knock yourself out. Last, but not least, you’d better not damage that bodywork. You’ll need to earn 10 Clean Racing Skills to be awarded that mega points haul. In the store this week, you can grab a Honda Civic Type R and an Alumi Craft Class 10 buggy, which’ll come in handy for cross-country routes with its Destruction Skills perk.